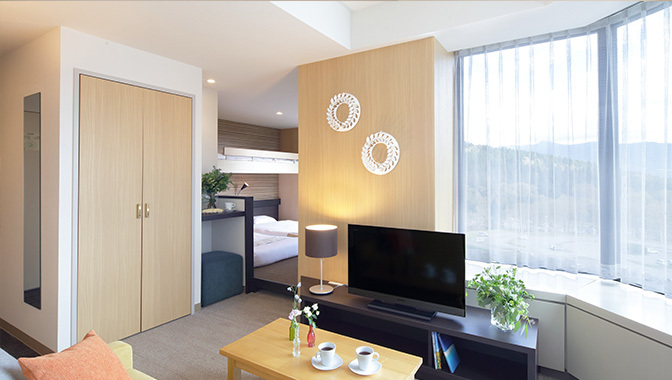 Please choose the room type that best fits your travel group. 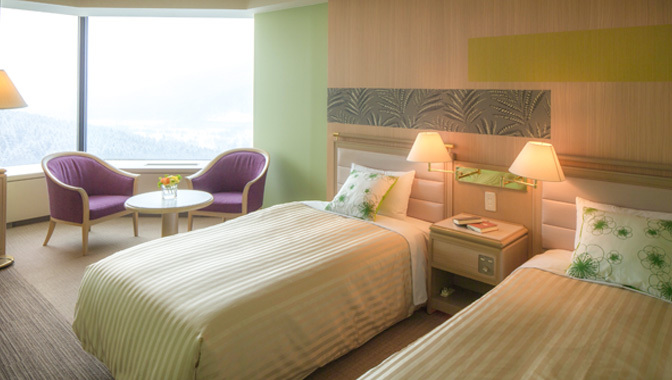 A room located in tower 1 room including 2 single beds. * Tower 1 is east of the twin tower, colored in green and white. 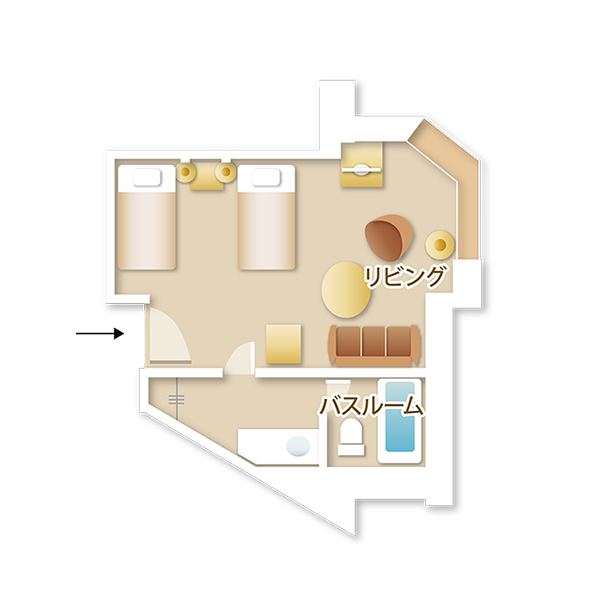 * Some rooms may have a slightly different layout. 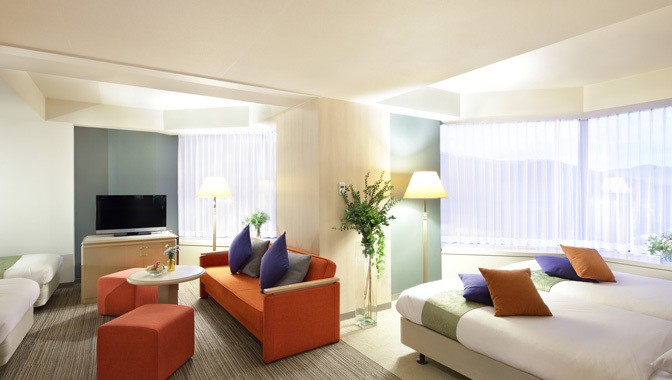 A room located in tower room including 3 single beds. 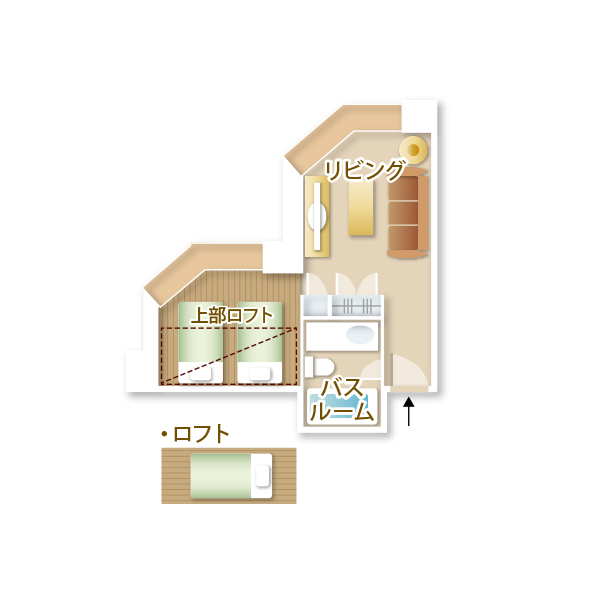 The living space and bed space is separated for comfort. * Tower 1 is east of the twin tower, colored in white and green. 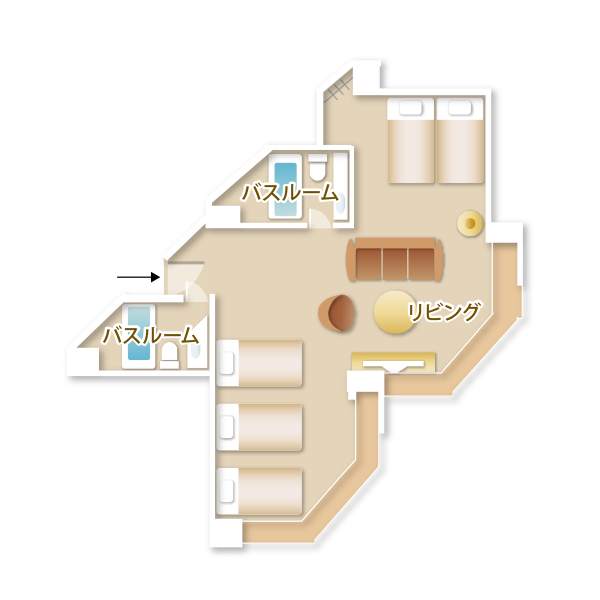 The rooms are located only in Tower 1 and can only hold a maximum of 4 people. It is recommended for a lodging of families and relatives for there are no borders between the rooms. 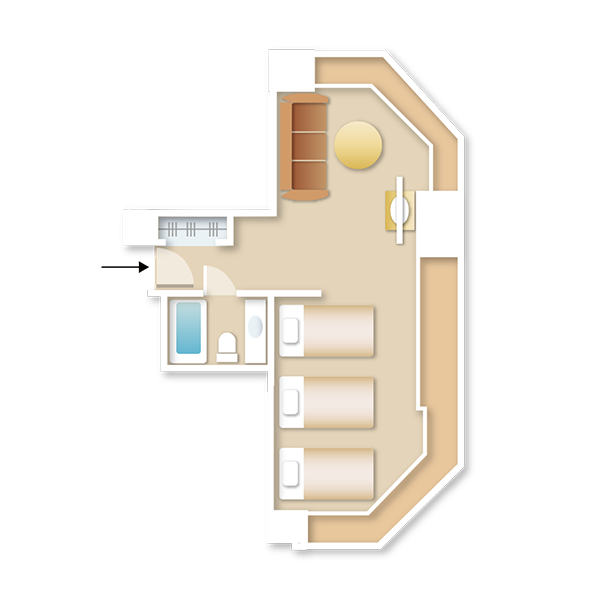 There are two sets of toilet/bathtub in this room. The rooms are located only in Tower 1 and can only hold a maximum of 5 people. 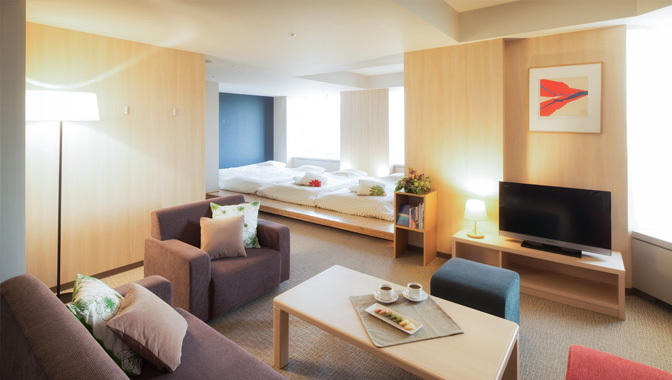 It is recommended for a lodging of families and relatives for there are no borders between the rooms. There are two sets of toilet/bathtub in this room. * This room is not a connecting room. 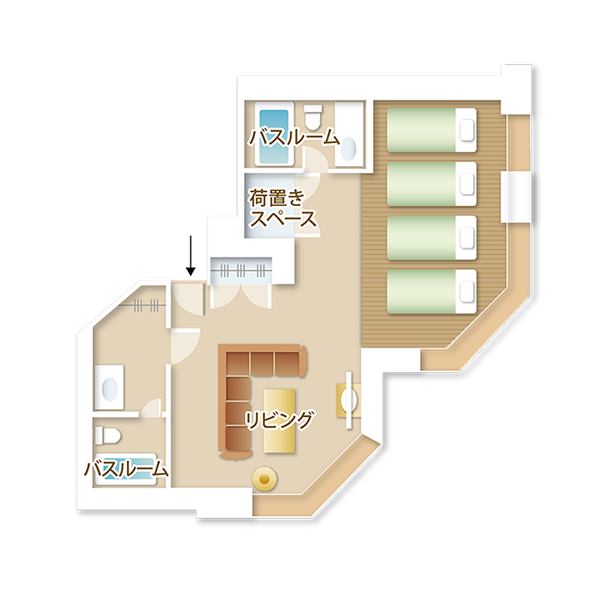 * These rooms are located at the lower levels of the tower. This room was established within tower 2. Of course there is one sofa in the room, so don't need to arrange the sofa to bed to stay. * Tower 2 is west of the twin tower, colored in brown and white. The rooms have two low beds and one bunk bed. Of course there is one sofa in the room, so don't need to arrange the sofa to bed to stay. 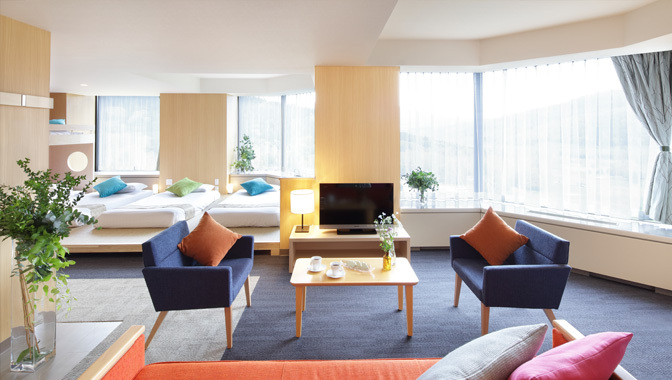 * The rooms are located in Tower 2 below 8th floor. 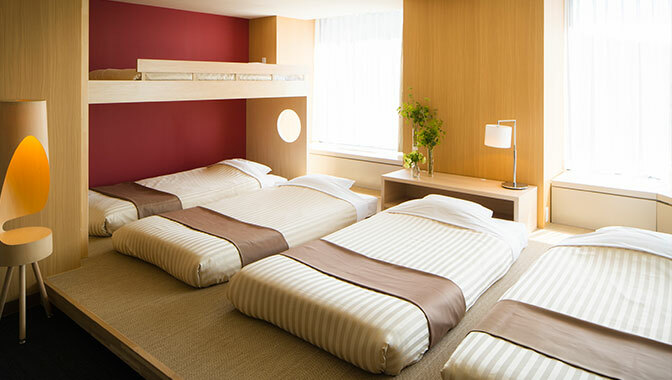 A room can hold a maximum of 4 people consisting of 4 mattress beds. The living space includes a large sized sofa for maximum comfort for guests. 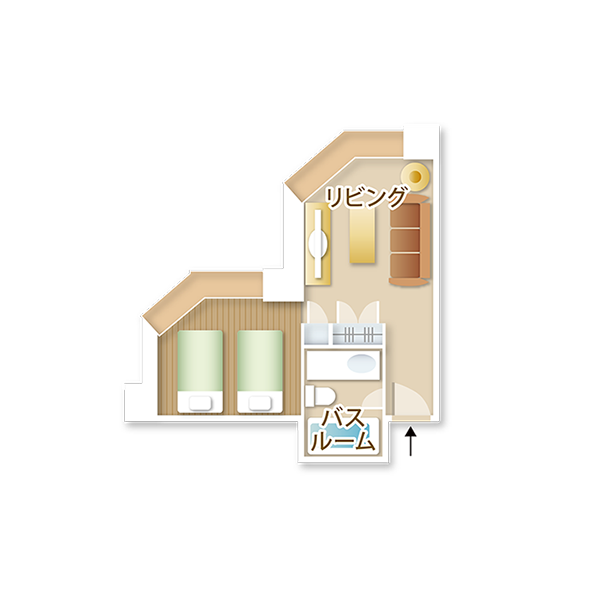 There are two sets of toilet/bathtub in this room. 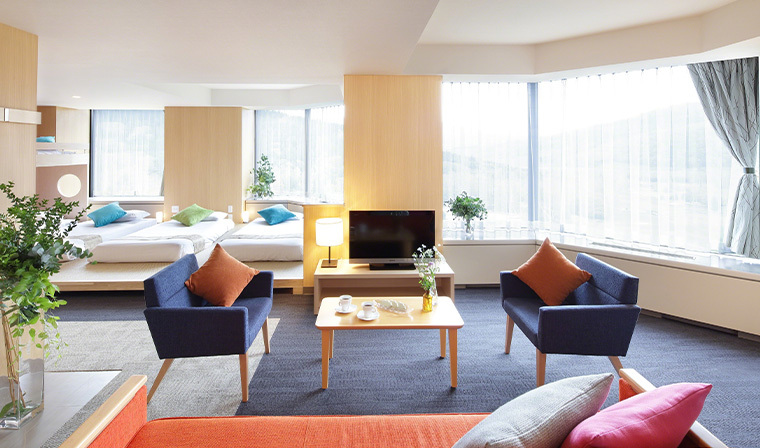 The room can hold a maximum of 5 people consisting of 4 mattress beds and 1 bunk bed. The living space includes a large sized sofa for maximum comfort for guests. There are two sets of toilet/bathtub in this room. 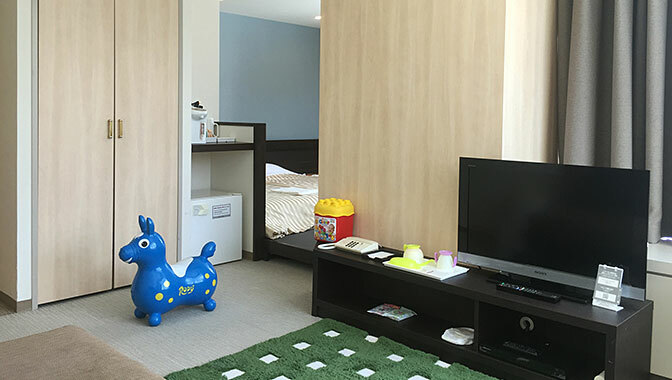 The "Mom-friendly Committee" produced a room specially designed for an adult or two holding kids aged of 0~3. The entire room strictly refuses shoes in the area. 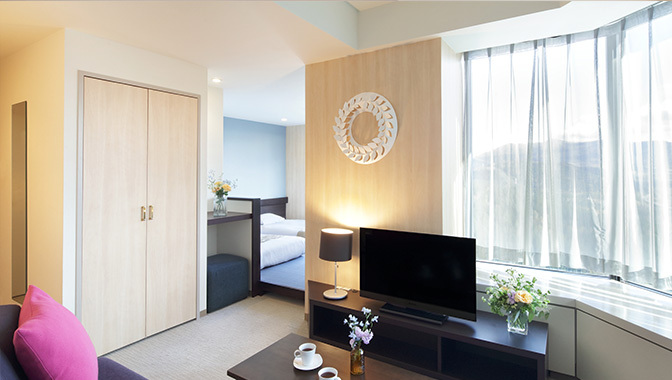 The room consists of two safely set mattress beds for the children and parents. 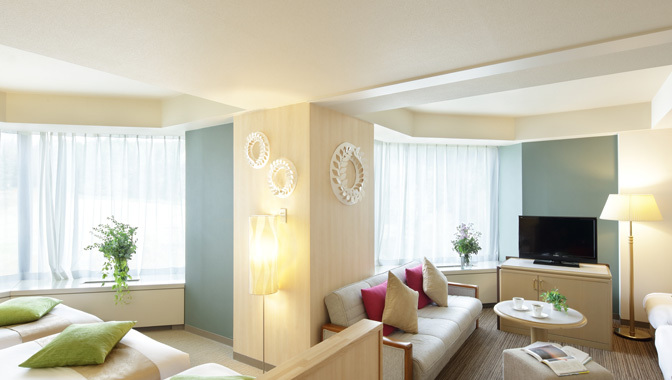 The room provides useful sets of commodities and amenities, called the "mom-friendly set". And the floors of these rooms allow guests to access the washing machine, dryer, microwave, drawing book rental, and free diaper corners. 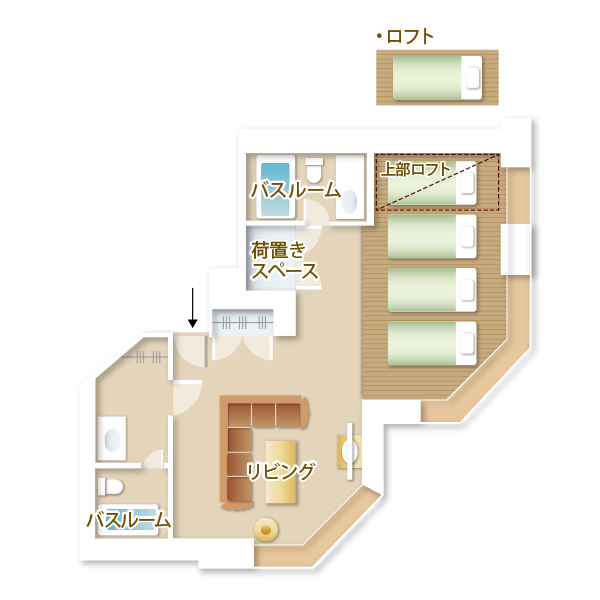 * The size of this room is the family twin room which is equivalent to the family triple room. 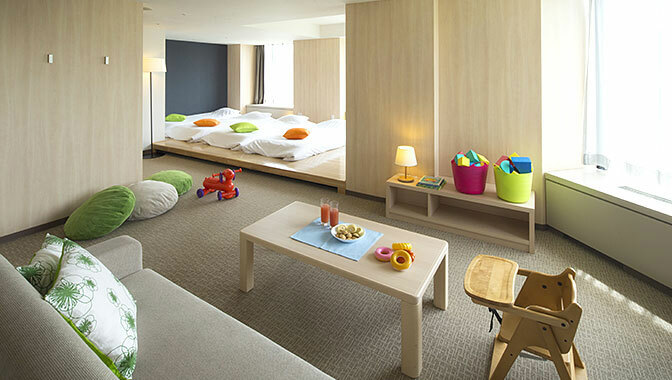 The "Mom-friendly Committee" produced a room specially designed for an adult or two holding kids aged of 0~3. The entire room strictly refuses shoes in the area. The room consists of two safely set mattress beds for the children and parents. 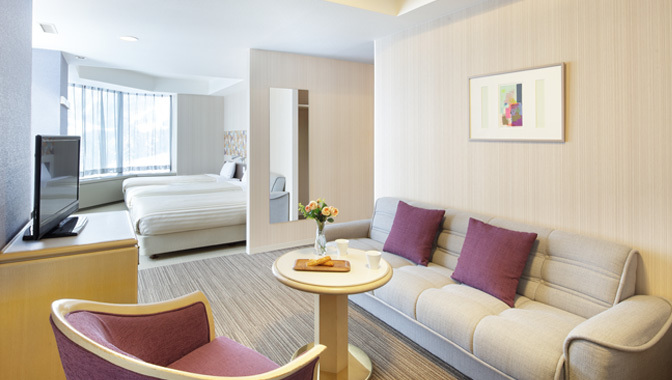 The room provides useful sets of commodities and amenities, called the "mom-friendly set." And the floors of these rooms allow guests to access the washing machine, dryer, microwave, drawing book rental, and free diaper corners.